This Rosina bone china mug is a great addition to your bone china or Rosina mug collection, particularly if you like to have them from different design periods. 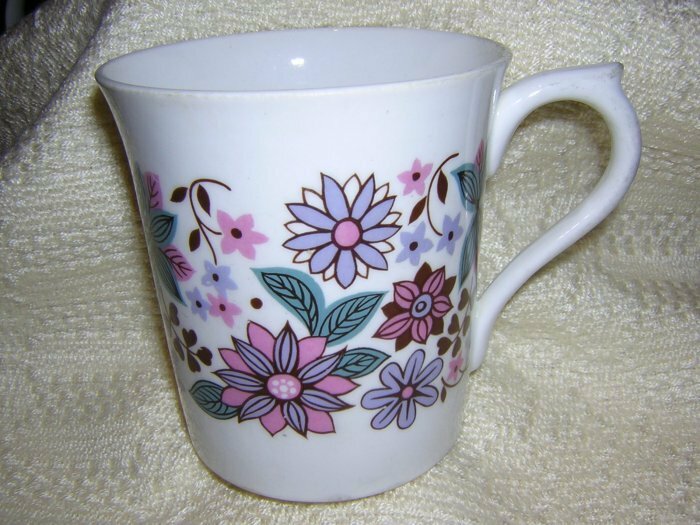 This says 50s to me with its color scheme of gray, pink and turquoise flowers. Could be 70s. It's very retro. The design wraps around the mug which is in perfect condition. I recommend this one highly. No damage whatsoever and only hints of shelf scuffing. Nice piece.